Happay is India’s leading FinTech Company whose core vision is to help Businesses manage their spends in a Simple. Fast. Secure manner. It helps organizations break through the shackles of legacy business spend management systems and embrace end-to-end automation. 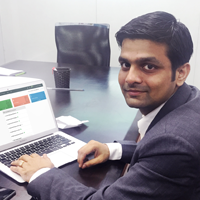 Happay’s revolutionary platform has been instrumental in automating the age-old system of Employee expense management, Vendor payments, Opex expenses, Salary disbursement & Petty Cash Payments through it’s unique web & mobile app-enabled interface. Since inception, Happay has been the recipient of more than 15 prestigious awards – from being acclaimed as “Nasscom’s Top 10 start-ups” to emerging as the “Best prepaid card product” at IAMAI Awards. In a short span of time, Happay has established a strong foot-hold in more than 1500 SMEs and Enterprises, across more than 30 verticals which range from Hospitality, Education, Manufacturing and Hyper local to Consulting & NGOs. Till date, Happay’s clientele have been able to successfully avail of its automated services and are able to manage all their monetary operations seamlessly using data analytics effectively. 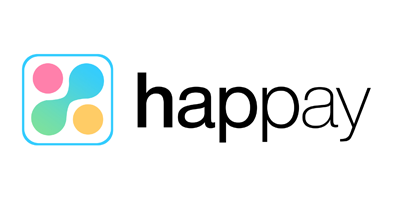 Happay has its presence in all metros and major cities in India.